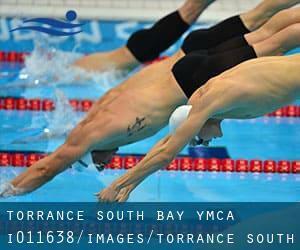 Let us introduce you this RECOMMENDED and great pool of Torrance (Los Angeles County), with two pools. This large sports center lets professional swimmers like you enjoy 25 meters x 36 feet, 6 lanes, Indoors. Additionally, within these facilities you can try 25 yards, 4 lanes, Indoors. Phone number and email address are available. Write down the GPS coordinates we have on our file for this Aquatic Center, so you can enter them into your GPS to assist you locate the Swimming Pool easily. If you believe that any from the information and facts is incorrect, please contact us. Aid us be better day-by-day. 4343 Spencer St. , Torrance , CA , USA (Postal Code: 90503). This sports center provides 25 yards, 4 lanes, 3.5 feet -7 feet depth, Outdoors. Contact information for this Pool which include phone number and email address are number. Updated on 2019 3331 Torrance Boulevard , Torrance , CA , USA (Postal Code: 90503). This sports center gives Olympic size x 20 meters, Outdoors. For this Swimming Pool, only phone number is number here. South End Racquet and Health Club Inc. Updated on 2019 2800 Skypark Dr. , Torrance , CA , USA (Postal Code: 90505). Swimmers like you reported 25 yards, 6 lanes, 3.5 feet - 11 feet depth, Outdoors. Phone number and email address are number for this Pool.